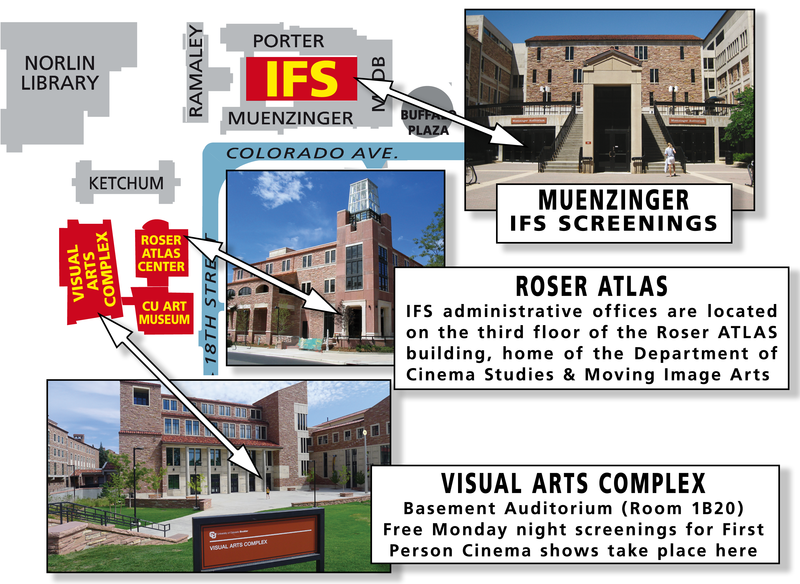 IFS events take place in Muenzinger Auditorium (in the Muenzinger building), in the Film Studies Theater (in the ATLAS building), and elsewhere on the CU campus. 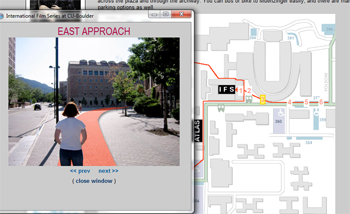 Muenzinger is just west of Folsom stadium's south end, across the plaza and through the archway. You can bus or bike to Muenzinger easily, and there are many parking options as well. For people who want to pay for parking with a smartphone - not just on campus, but around Boulder as well - download the Parkmobile application at Parkmobile's web site. Click any map to enlarge it.